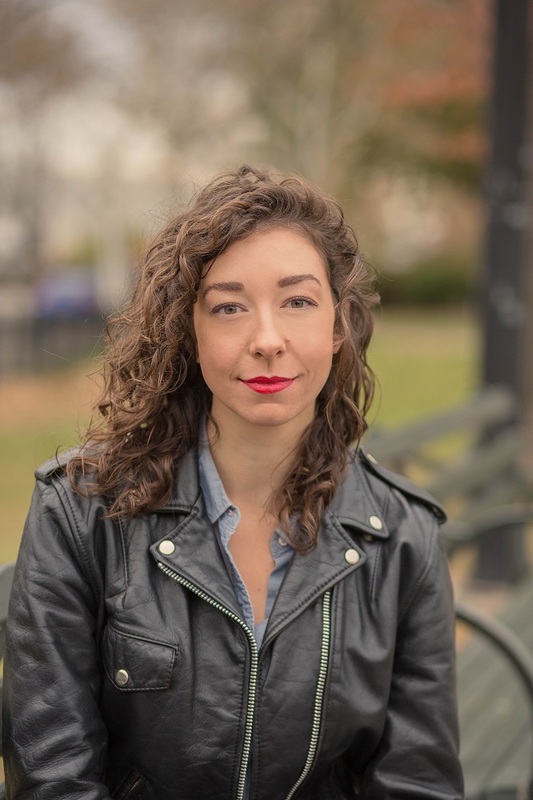 Andrea Bartz is a writer and editor whose work has appeared in many publications, including the Wall Street Journal, USA Today and Self. 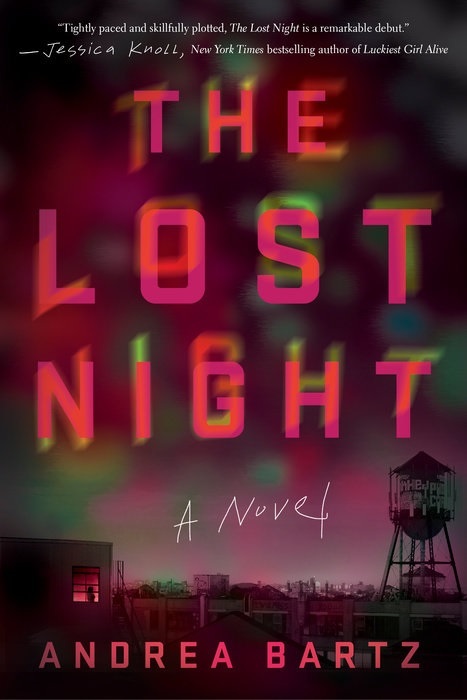 The Lost Night (Crown, $27) is her first novel. As a freelance writer, you've written about a range of topics, e.g. relationships, travel, health. When considering your first novel, what made you decide to write a mystery? I've always loved reading them, so I thought I'd try my hand at writing one. While I was flailing around for a premise, I happened upon some old e-mails and texts from my early 20s, and they reminded me how goddamn social we all were back then--how we felt the need to do something Big and Memorable every single night. I never lived in Brooklyn's McKibbin Lofts, but it felt like the nerve center of that scene back in the late-naughts, a spot where you could reliably find parties and concerts and interesting characters. It was this close-knit, closed-door world, and I wondered: What if, after one of those wild, sprawling Friday nights, everyone woke up hungover and bleary-eyed... and there was a dead body? The Lost Night grew out of that premise. The setting and characters are vivid. Are they based on real people or experiences? Thanks for saying that! And thank you for not asking if Lindsay, the protagonist, is me, which is a question I keep getting. As a fiction writer, I did this crazy thing where I made someone up. That said, did I go to some wild parties and concerts and meet a myriad of colorful characters and drink a lot of picklebacks and play a lot of Jenga in beer-smelling bars in 2009? You bet I did. I loved writing the nightlife scenes because so many of the details, including the outlandish ones, were ripped from real life. I wanted to capture that sense of invincibility and wild, boundless fun you can have in your early 20s, when you think the world is yours--there was no question in our minds that we would talk our way backstage or get free shots or befriend the celebrity sulking in the corner. We absolutely expected the extraordinary. I don't have the energy to pursue that kind of thing any more, but it sure was fun while it lasted. This is your debut novel. Walk us through your path to publication. I started writing The Lost Night for NaNoWriMo in 2014, when 2009 nostalgia was decidedly not a thing. I produced a spectacularly horrible first draft in about six months, then spent 18 months turning it into something coherent. I queried agents in late 2016, just by sending my stuff into the slush pile. I simply researched and queried agents whose work I loved and admired. I was lucky to get three offers of representation within a few weeks, and I signed with the wonderful Alexandra Machinist (who reps Tomi Adeyemi, Kevin Kwan and many other stunners) at the end of that year. She took the manuscript out on submission in February , and we got a lot of nos. The market for psychological suspense with unreliable female narrators is a crowded one, and many editors were nervous the book, as it was, might not stand out. But two editors had revise-and-resubmit requests, and I went to town tearing my novel apart yet again and taking it to the next level. It was terrifying--I was fully aware that, after all that work, they could still pass. But the new version was smarter and snappier, and thankfully my editor at Crown, the inimitable Hilary Teeman, made an offer shortly after we resubmitted the revise. I got the call from my agent just as I was leaving for the gym, and when we hung up, I screamed into my empty apartment. Then, because I wasn't sure what else to do, I... went to the gym. I blasted Hermitude in my headphones and let me tell you, I was a freaking BEAST on the stationary bike that day. How has your experience as a magazine/freelance writer helped you as a novelist? I'm a very fast writer and reviser, because I'm used to working against a deadline. I know what questions to ask my editor to pin down what I need to change, and I'm super no-nonsense about it. It's funny--I don't think of myself as particularly thick-skinned, but after working at and writing for women's magazines for over a decade, I don't see a single word of mine as precious. My editor's note will be like, "I think maybe we should move this line up one paragraph for X reason, but it's up to you and you can veto any of my suggestions," and I'm like sure, cool, line moved, done. I'll push back on plot points or bigger things I really care about, but for the most part, I think of writing books as a job--an exceptionally fun and creative and rewarding job, absolutely--but my job is to write and my editor's job is to edit and that's very, very clear to me. You co-created a blog and co-wrote a book, both called Stuff Hipsters Hate, with Brenna Ehrlich. If a hipster were reviewing Lost Night, what would the review say? This question makes me laugh because I can't help but picture a stereotypical circa-2009 bike messenger/dog walker/playwright/DJ-type reading it in McCarren Park while sipping a massive takeout margarita from Turkey's Nest Tavern. They would probably hate it because that demographic defaulted to hatred as a way to signal smug superiority, right? That's an over-the-top stereotype, of course. With The Lost Night, I really wanted to make the gang of artsy 20-somethings realistic and layered, because no human is pure stereotype. Lindsay and her gang of merry hepcats had hopes and dreams and aspirations and futures, and they made mistakes and kept secrets while also showing deep love and loyalty. If you find the characters insufferable simply because they go to warehouse parties and drink a lot of PBR, maybe... you're the hates-on-everything hipster.